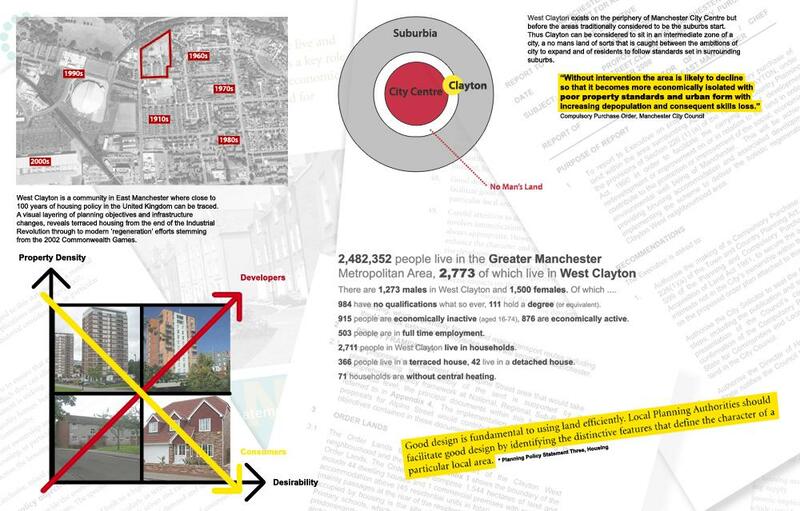 In the modern day landscape of architectural design there are many stakeholders who have to work together to reach solutions on what happens in the built environment. 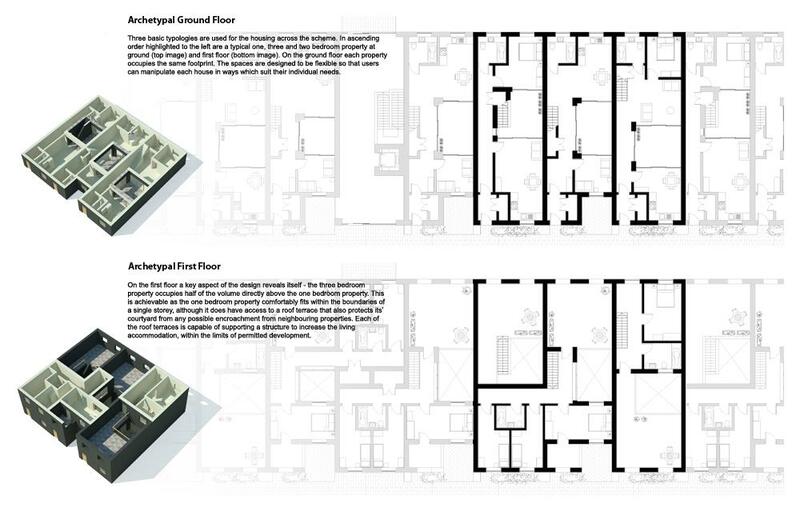 Home Truths is a two part investigation into how architects can play a role in this process, focusing on the issues surrounding medium density residential developments. 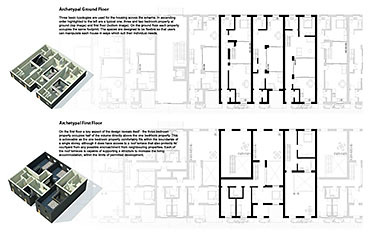 The importance of individuals and residents, the users of the space, are paramount with the focus being on creating housing that can provide a person a home for life. 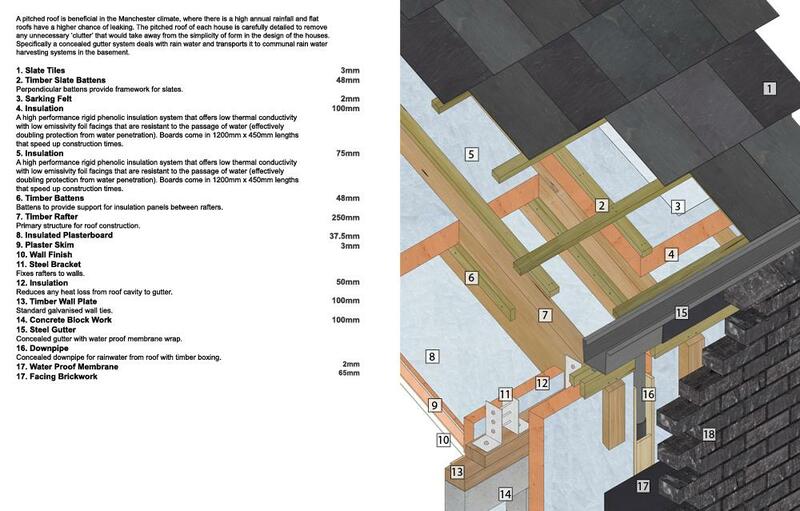 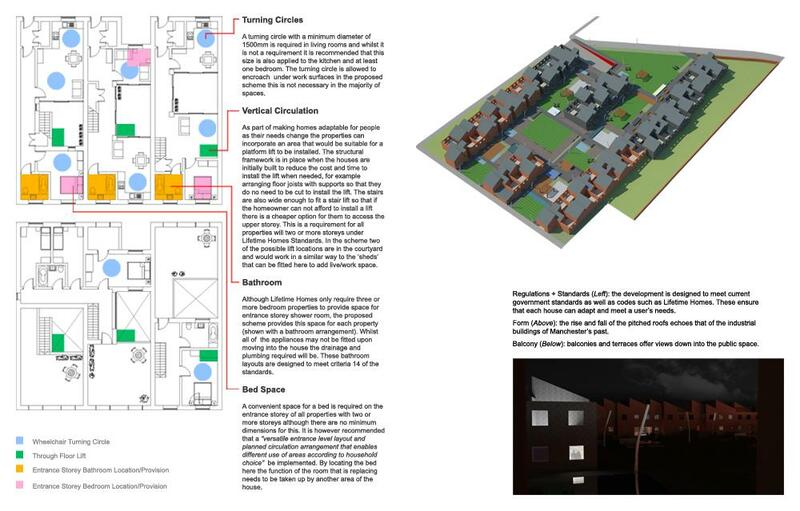 A framework of design measures were explored in the first part with real-time factors such as government legislation, including Planning Policy Statement Three, being used constructively. 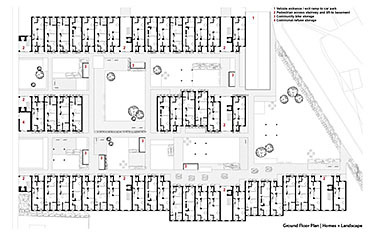 Issues of sub-urbanisation, gentrification, post-Second World War government housing policy, Keynesian economics, planning policy, branding and place-making were explored. 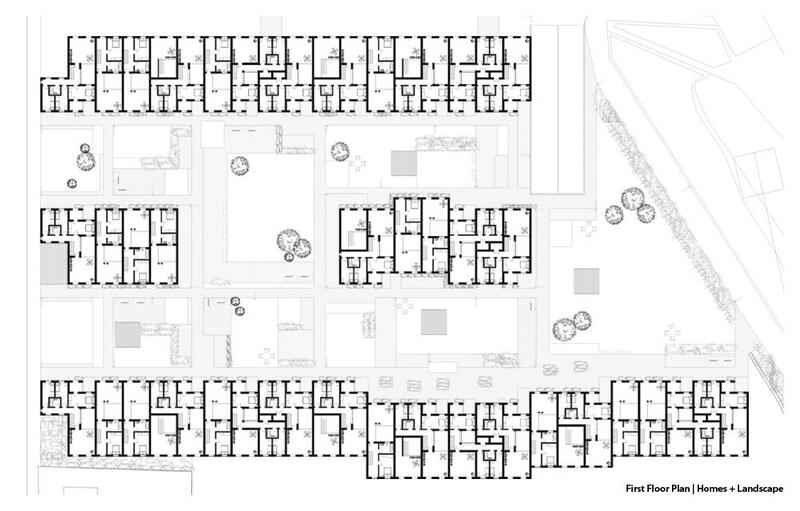 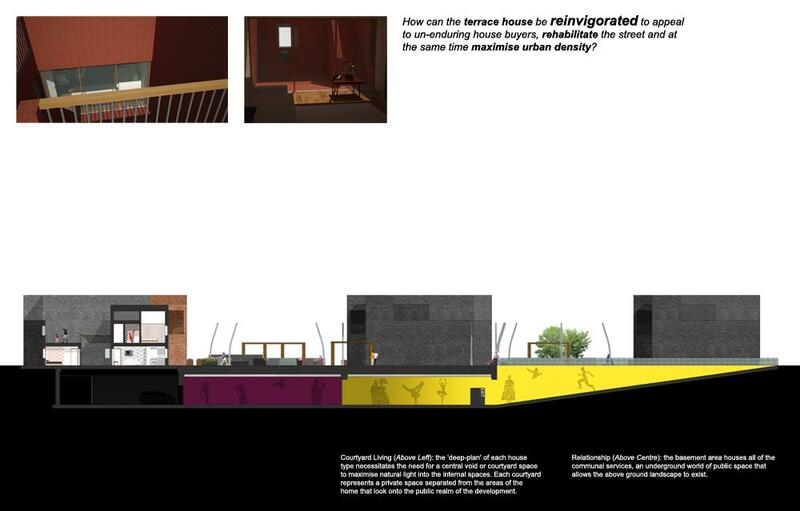 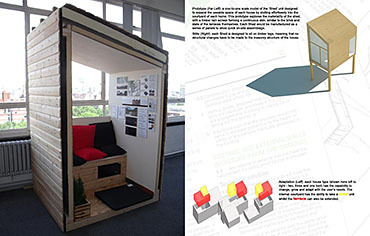 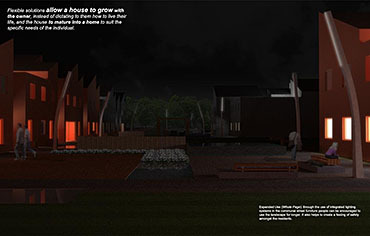 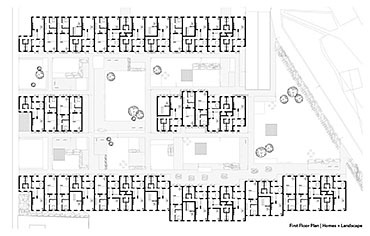 The second part was primarily concerned with how, using the results of the initial investigation, it would be possible to construct a medium density development that met the needs of individuals over time, with a focus on traditional construction methods that would make use of a local-skill base. 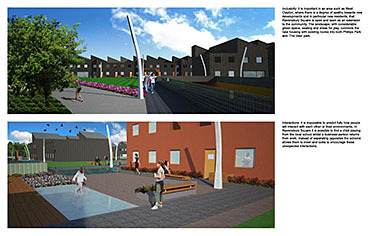 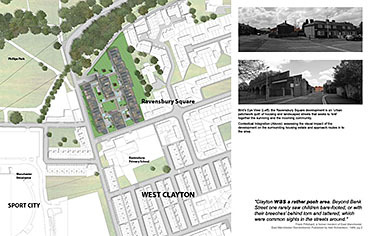 Situated in East Manchester, specifically the community of West Clayton, an under populated district of Greater Manchester, the scheme sits on the site of recently demolished pre-second World War terraces. 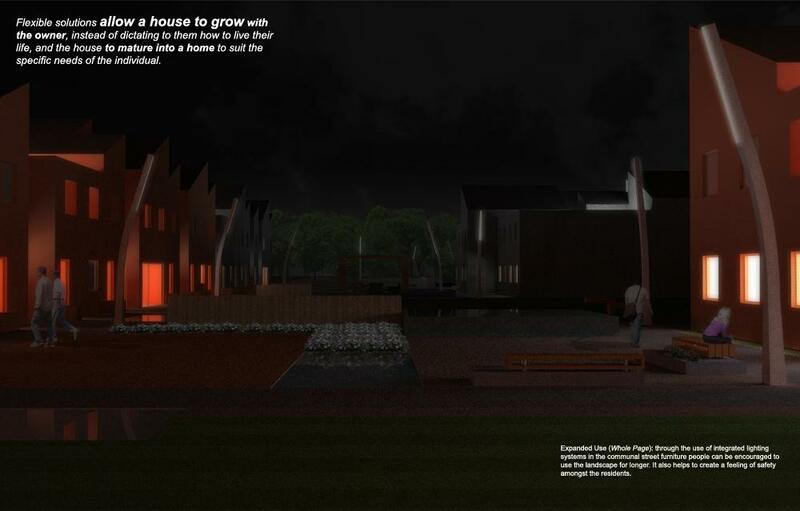 The final design reflects the local environment, being a location situated neither in the urban core or the suburban periphery, and also respects the existing residential fabric, offering new space to the existing community. 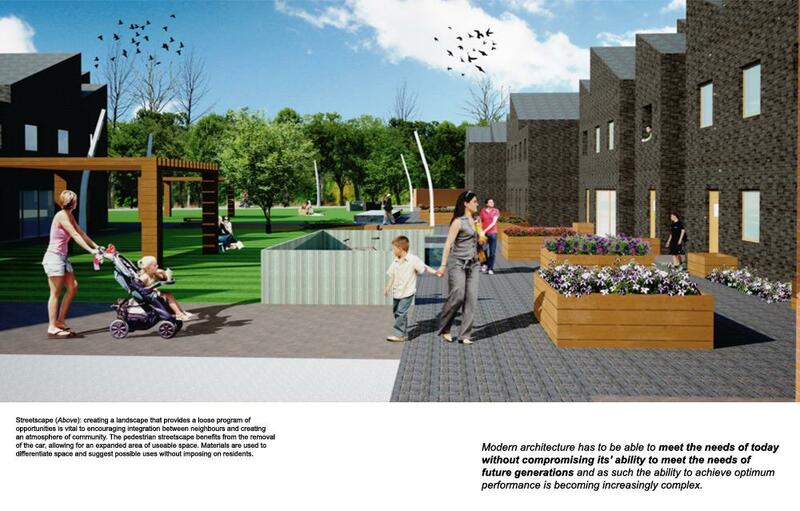 The terrace houses provides the opportunity to maximise urban density (achieving 47 dph) whilst offering the flexibility of user appropriation associated with the suburban semi-detached. 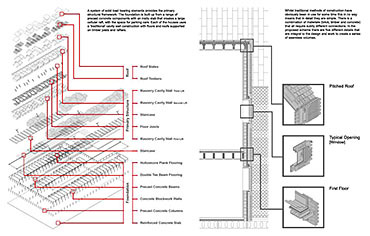 Modern architecture has to be able to meet the needs of today without compromising its’ ability to meet the needs of future generations and as such the ability to achieve optimum performance (between form, function, typology, topography and tectonics) is becoming increasingly complex. Flexible solutions are employed to allow a house to grow with the owner, instead of dictating to them how to live their life, and the house to mature into a home to suit the specific needs of the individual. 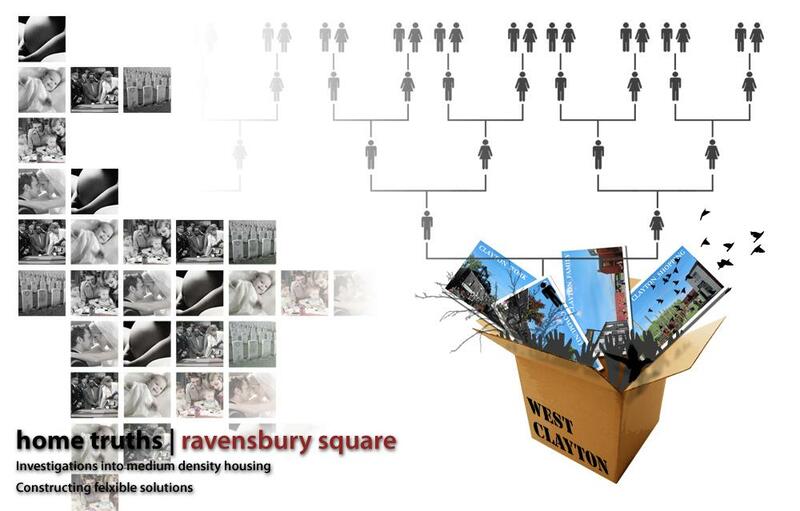 The 'Home Truths: Ravensbury Square' project demonstrates an intelligent response to many of the problems of urban and socio-economic decay that occur around the periphery of Manchester City Centre, perhaps most notably in the East which has been the subject of the largest Pathfinder scheme in the UK. 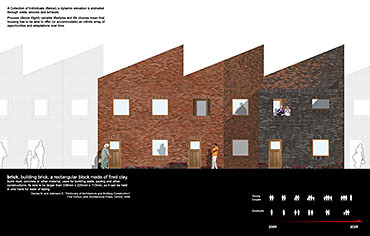 The design offers a sophisticated and socially inclusive range of mixed dwellings that challenges the perception of affordable housing. 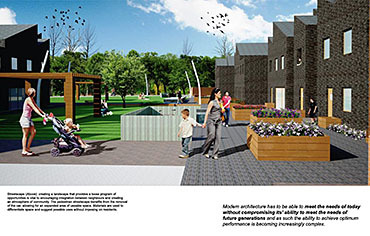 The development of semi-private and zoned open space as an integral part of the project with communal play/leisure areas and external materials to match the private units. 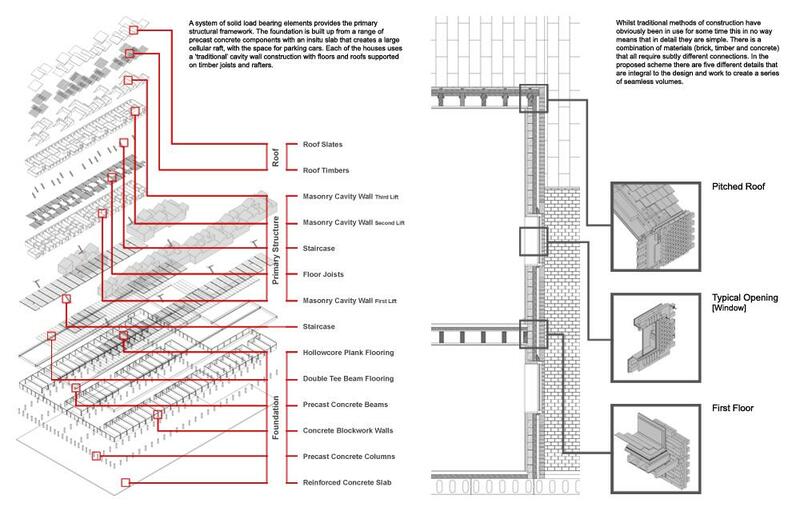 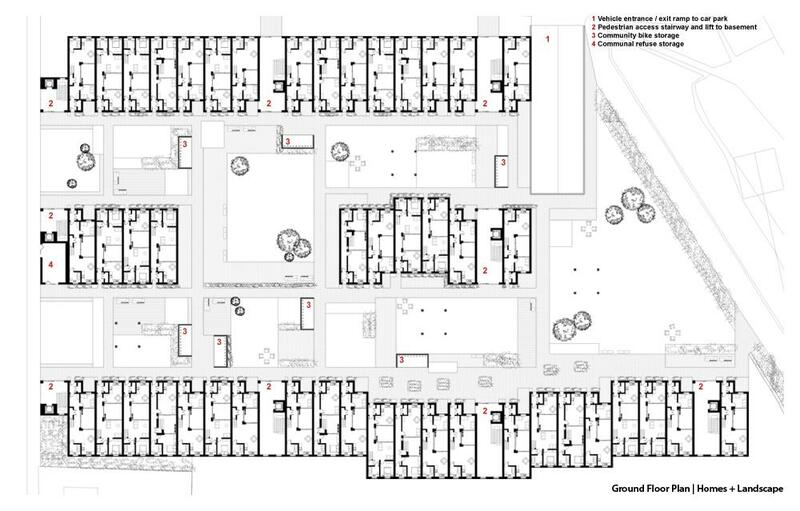 The diversity of configurations of the different homes underscores the need for adaptive housing that can meet contemporary uses and lifestyles as well as social structures and the flexibility of the project affords further development as and when required. It is here that the subtle dexterity of the project comes to the fore as a seemingly straightforward scheme actually handles a myriad of complex issues in relation to inhabitation, economics, sustainability, and social infrastructures in a mature and provocative manner. 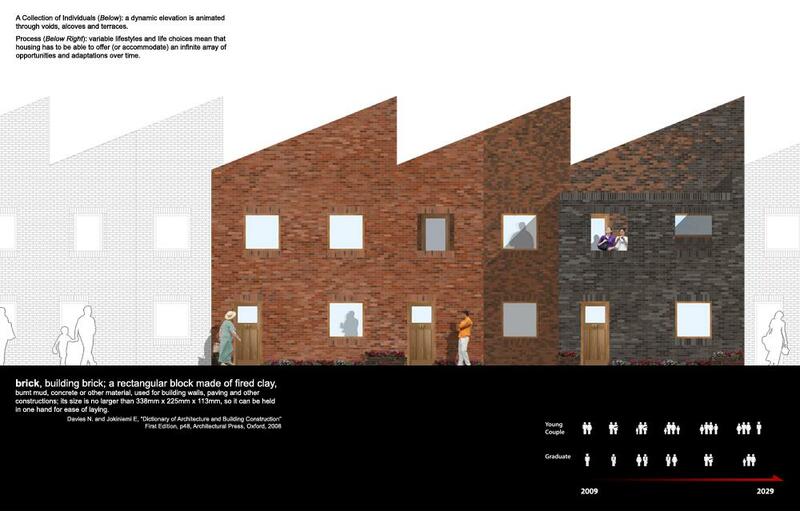 The opportunity to create an exciting and challenging scheme from seemingly everyday social issues has been thoroughly interrogated in this project and the level of design prowess and range of skills demonstrated here are testament to the designer.